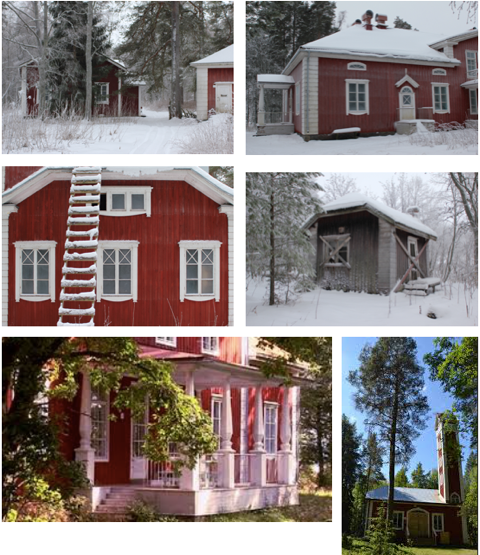 TaikaBox, in partnership with Ervastinkylä Village Association, is offering a two-week long residency for an artist in the beautiful Varjakka Harbour in Northern Finland. The selected artist (or a small group) will have exclusive access to a fisherman’s hut for two weeks: from 30th July to 12th August 2018. 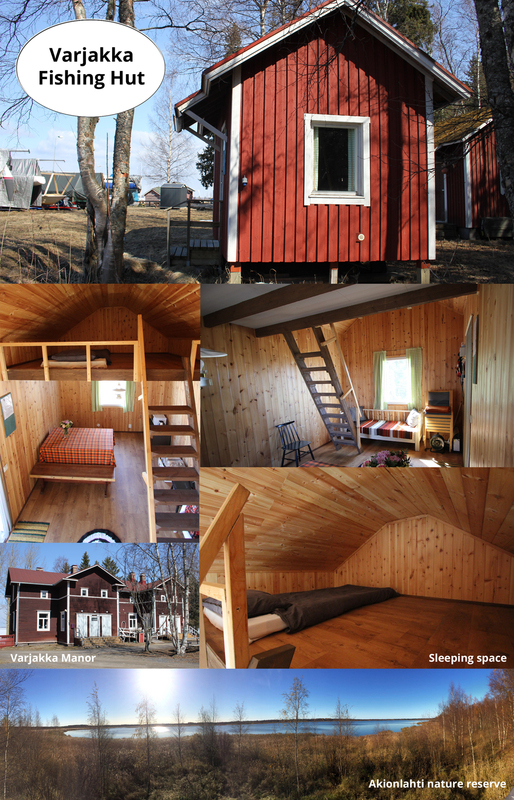 The hut is small (13.5m2) and basic, but has space to work and sleep. There is an outside toilet, but no plumbing inside the hut; water will be brought onto the site. The hut has electricity outlets, a table, coffee pot and a microwave. Bedding will be provided. Extra facilities, alternate accommodation and cooking facilities can be provided in a home 1km from the harbour. There is the Warjakka Bar & Grill about 2km from the port which provides warm food, beer and supplies. There is also a supermarket about 5km from the harbour. A bicycle is available to borrow for the duration of the residency. Varjakka is a small village in Oulunsalo in the bay of Kempele. In old times it was known as Warjakka. It is located 18km south of Oulu. You can travel to the area easily by air – Oulu Airport is only 7km from Varjakka, or by train to Oulu railway station. Arrangements can be made for pick up from/to the airport or railway station. Varjakka Harbour sits at the edge of a nature reserve with beautiful forest walks and a large wetland area for wide range of migrating birds. A short walk across the swimming beach brings you to Varjakka Manor, another building of historical importance. The eventful history of the area includes stories of ship-building, tourism and war-time prison camps. The Varjakka artist residency in July-August 2018 is the second of its kind in the area. 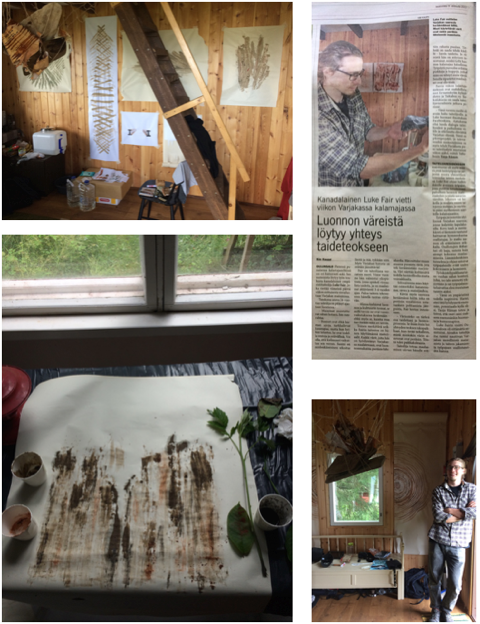 Last year was the first time we organized the residency and Canadian visual artist Luke Fair spent a week in Varjakka exploring and creating paints out of the natural ingredients found on location. The aim of the residency is to support creative work and to bring new artistic experiences to the local community. TaikaBox hopes that the residency will attract artists that have a unique artistic identity and who are also able to involve the local community in their artistic practice in a creative way. The chosen artist is expected to lead one workshop or engage in other community-based work during the residency (as defined by the artist). This could be a presentation of a sketch or a short performance, event or another type of artistic experience that is open to all people. TaikaBox can arrange contact with the local school and nursery, as well as various hobby groups that meet locally. 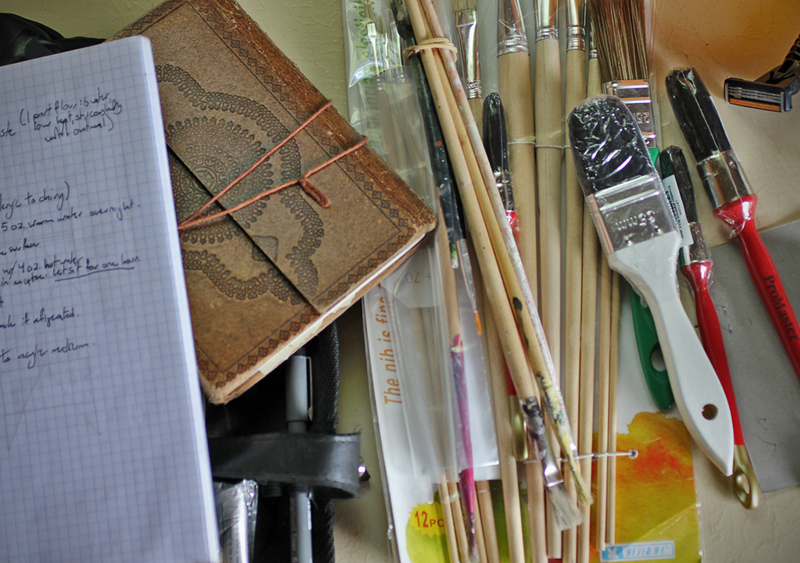 Artists and small working groups from any artistic background are welcome to apply. Send your CV and a letter of application, in which you introduce your work plan for the residency, explain why you are applying for the residency and how you intend to integrate the local community in your artistic practice. State also who is your target group you would ideally like to work with during the residency. If the applicant is an artistic working group, send a joint summary of the participating artists’ CVs. Applications should be sent to TaikaBox via email to: mail@taikabox.com by 1st June 2018. All applicants will be informed of the decision by the mid-June.